He also cited success stories of villages where crops have grown through this method and flourished even in droughts unlike the ones that are grown using chemical or organic farming methods. 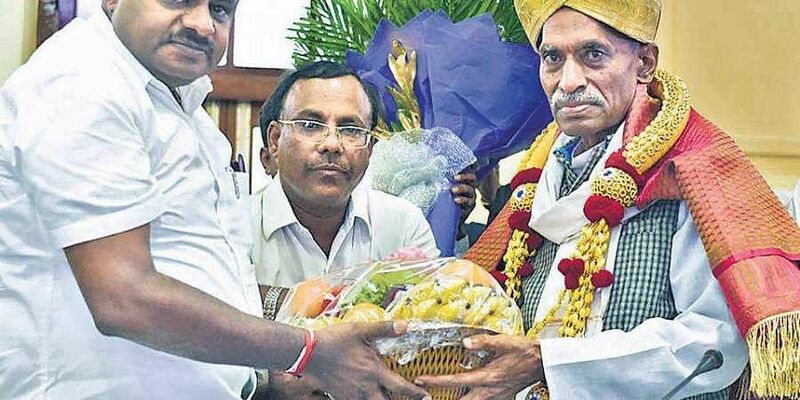 BENGALURU : Pioneer of zero-budget natural farming in Karnataka, Subhash Palekar appreciates the Kumaraswamy government for having taken the first step towards natural farming in the state. However, he denied the need for Rs 50 crores allocated in the budget.“It is not going to be an easy task to change the mentality of people and convince them to take up zero-budget farming. I appreciate that the Kumaraswamy government has given importance to this method for the first time in this state,” says Subash, who began the movement here years ago. “We will not demand anything from the state. I told CM Kumaraswamy that I do not want a single penny from the Rs 50 crores to implement zero-budget natural farming. All I did was give suggestions on how they should go about it,” says the agriculturist while addressing the media at Kumara Krupa guest house on Tuesday. This is the third state in the country after Andhra Pradesh and Himachal Pradesh to take up this initiative, he says. “Andhra and Karnataka have similar cultures and crops. If it was successful there, it can work here as well. The Chief Minister now needs the support of bureaucracy to implement this, otherwise, it will be a challenge.” The Padma Shri awardee claims that three lakh farmers in Andhra Pradesh have benefitted from zero-budget farming that requires no market purchase whatsoever. The model he proposes is to take a single village in each hobli and introduce the project there. “Seeing is believing. Once farmers from other 750 villages realise the benefits, they themselves will mimic the model in their own. While it will take time to implement, the change will be visible within a year,” he says. He recommends creating awareness among farmers about watershed management and educating them on zero- budget natural farming as the method of agriculture. They should also ensure that the processing is done in villages only and the produce is sold straight to consumer without a mediator. He also cited success stories of villages where crops have grown through this method and flourished even in droughts, unlike the ones that are grown using chemical or organic farming methods. He does not support farm loan waiver by the state. “It would lead to farmers getting into a never-ending cycle of taking loans, purchasing seeds, fertilisers, pesticides from the market and suffer from crop failure. It may also lead to suicides. I call for loan liberation,” he concludes. Good initiative taken up by the state to protect the nature as well as humane.